Dr. Raymond Damadian is the inventor of the MRI and an outspoken creation scientist. Listen to the story of the experiments that led up to the invention of the first MRI, and the impact it has had on cancer research and his current research indicates a possible cure for brain diseases such as Alzheimer’s, Parkinson’s, Multiple Sclerosis, ALS, and autism. #674 THE INVENTION OF THE FIRST MRI – The story of the miracles that made the invention possible, with Dr. Damadian and Dr. Larry Minkoff, the first person to have a MRI scan. #675 THE MRI EXPERIMENTS PART 1 – The background story of the research and blind alleys Dr. Damadian pursued that led to the idea of the MRI. #676 THE MRI EXPERIMENTS PART 2 – The discovery of the use of Nuclear Magnetic Resonance Spectroscopy and how it was scaled to fit the human body. 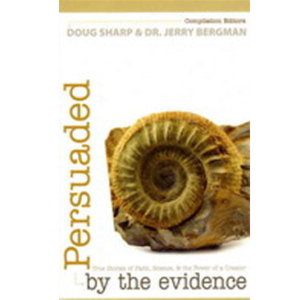 #677 THE MIRACLE OF THE MRI – With Dr. Jerry Bergman, discussion of the impact of the MRI on medicine. #679 GIFTED MIND – This is a review of Dr. Damadian’s book Gifted Mind. #693 CAROL’S DIAGNOSIS – Dr. Damadian brings hope to Doug’s sister Carol who has been quadriplegic for 12 years. He invited us to bring her for a MRI scan, and we believe a cure is possible. #694 DR. DAMADIAN’S STORY – Dr. Damadian tells his story of faith in God and how it helps him in his scientific research. Dr. Raymond Damadian is the inventor of the MRI and he is working with Dr. Scott Rosa on a breakthrough discovery concerning the source of problems that lead up to brain diseases such as Alzheimer’s, Parkinsons, Multiple Sclerosis, ALS, autism, and cerebral palsy. Our interviews with him led to his diagnosis and treatment of Carol Geer, Doug Sharps’ sister and Rich Geer’s wife, who was left paralyzed after a hospital accident. Dr. Raymond Damadian talks about the invention of the first MRI and how he and his colleagues built the Indomitable. He also shares some of the exciting current research his company FONAR is doing with its new upright scanner. Special guest Dr. Larry Minkoff, the first person to receive a MRI scan. Dr. Raymond Damadian describes the experiments that led up to the discoveries of the signals from cancer tissues that produced the first MRI, the Indomitable. Dr. Raymond Damadian concludes this talk about the scientific experiments that led to the invention of the MRI and the patent fights that resulted. The story of Dr. Raymond Damadian, the inventor of the MRI, is in several of the books that Dr. Jerry Bergman has written. Dr. Bergman recounts his relationship with Dr. Damadian and the story of his invention, and the discrimination he received from being denied the Nobel Prize. Current research with the MRI is in the area of brain disease, and new discoveries, revealed only through Dr. Damadian’s upright MRI technology offer new hope for patients of many different neurological diseases. A review of the groundbreaking discoveries in brain disease research using the FONAR upright MRI and an interview with Dr. Raymond Damadian, the inventor. 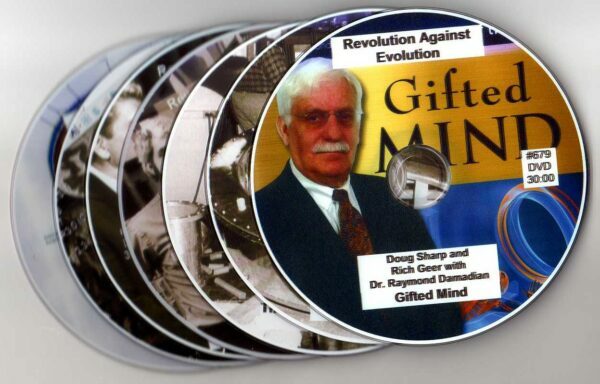 Dr. Damadian has a new book Gifted Mind. Rich Geer’s wife Carol, Doug Sharp’s sister, has been unable to walk, talk or care for herself for 11 1/2 years after an accident with anesthesia in a hospital that left her in that conditions. For that time, she had been diagnosed with anoxic brain damage. When we interviewed Dr. Damadian last August, he told us about the brain research he’s doing and invited us to bring Carol to him. He scanned her with his upright MRI and found hydrocephalus caused by blockage of the cerebral spinal fluid at the cervical area. He believes there is hope for her recovery. The FONAR upright MRI with the capability of scanning in any position and producing MRI movies has revealed a syndrome caused by misalignment of the cervical vertebrae where cerebrospinal fluid backs up in the brain and forms lesions. This is the condition of Carol Geer, sister of Doug Sharp and wife of Rich Geer. The diagnosis is hydrocephalus, which is water on the brain and is causing her to be paralyzed. The hope is that correction of this condition using a chiropractic technique may restore Carol’s health. A New Brain Disease Breakthrough? An interview with Dr. Scott Rosa who is doing cutting edge brain disease research with Dr. Raymond Damadian, inventor of the MRI. He is finding that restriction of the cerebral spinal fluid when the top axial vertebra is rotated is the cause of multiple brain diseases such as Parkinson’s, MS, ALS, Alzheimers and autism. After a week of doing a special chiropractic adjustment on Carol who is Doug’s sister and Rich’s wife, she is showing signs of recovery from quadriplegia. The atlas is the top vertebra of the spine, and research by Dr. Damadian and Dr. Rosa is showing that misalignment of the atlas blocking the flow of cerebral spinal fluid can manifest itself in various forms of brain disease. Carol Geer’s case is that her atlas was 18 degrees out of alignment and the fluid was backed up in her brain causing her brain ventricles to swell up and cause her to be a quadriplegic. After Dr. Rosa reset her atlas, we are tracking her progress toward recovery.